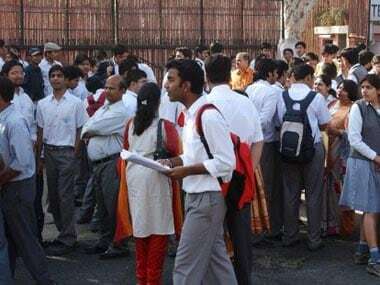 The Tamil Nadu Public Service Commission (TNPSC) has declared the results of the preliminary examination for the direct recruitment of Combined Civil Services Examination–I (Group-I services) 2016-19. The candidates can check the result by visiting the official website, tnpsc.gov.in. The TNPSC held the preliminary examination on 3 March. The candidates who have qualified the preliminary examination will be able to appear for the main examination after making a payment of Rs 200 toward the examination fee, unless the exemption of fee is claimed, and should upload the scanned copy of documents in support of the claims (like date of birth, religion, gender, etc.) made in their online application from 10 to 20 April in the e-seva centres run by TACTV. In a notification, the TNPSC said that the details regarding the documents to be uploaded will be made available on its website and candidates will be informed about it through SMS and e-mail. - Visit the official TNPSC website: tnpsc.gov.in. - Under the 'What's New' section, click on the link for Group 1 preliminary exam result. - A pdf document will open with the list of registration numbers of the candidates who have qualified the exam. - Download the document and take a print out for future reference.